This wall mounted reindeer head will add a feel of a country lodge to your home decor. 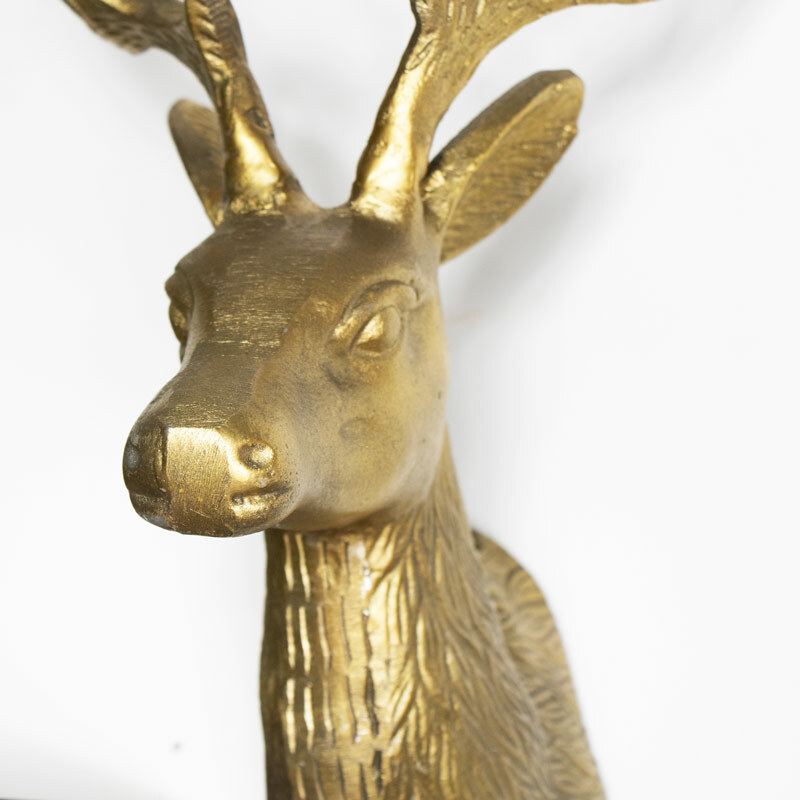 Finished in gold, this stag will look stunning hung above a mantelpiece or displayed in a hallway or entrance way. A great looking trophy piece that is a much more animal friendly alternative to the more traditional. 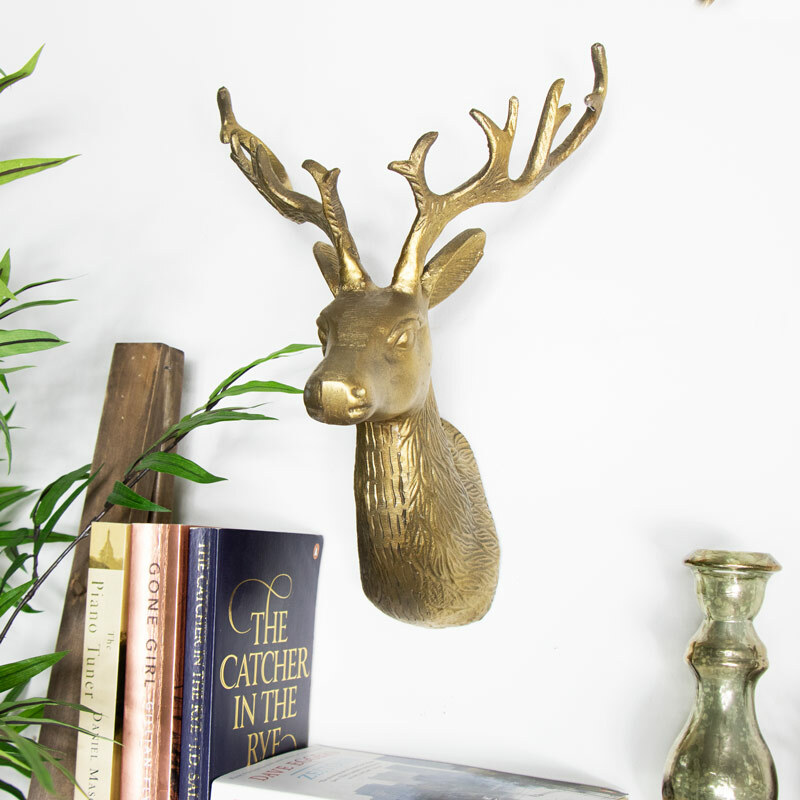 This golden reindeer is a great addition to our ange of reindeer and stag heads, with wall mounted and freestanding designs available. A great look for a rustic, country home or a great twist for a modern look.